Boilsoft DVD Creator serves as an excellent DVD creator, DVD Menu Designer, DVD burner and also a DVD moviemaker. It can create DVD from all popular video formats such as AVI to DVD, AVCHD to DVD, MP4 to DVD, MTS to DVD, MKV to DVD, RMVB to DVD, FLV to DVD, DivX to DVD, Xvid to DVD, MPEG to DVD, WMV to DVD, MOV to DVD, etc. Convert all popular video formats such as AVI, AVHCD, M2TS, MTS, MPEG, WMV, FLV, MP4, RMVB, MKV, ASF, DivX, XviD, VOB, 3GP, 3G2, MP4, DAT, DV, VOB, DVS(R)-MS, MPG, TS, MOV, RM, NS, MOD, M2V, etc. to DVD format. Perfect DVD creator supports various disc medias such as DVD+/-R, DVD+/- RW, DVD DL+R, DVD DL+/-RW, etc. Create DVD movies with NTSC or PAL video standard, fullscreen 4:3 video aspec rate or widescreen 16:9 video aspec rate. Burn DVD movie disc directly, or create DVD files to a designated folder. With high burning and conversion speed. There's also a DVD Burning Express Button in the tool bar. Support producing multi-audio track DVD that give you a wonderful audio journey. Enable you to adjust the playing sequence of the audio tracks the source videos contain according to your preference. Support producing multi-language subtitle DVD, which will be a visual shock to you. Support popular subtitle formats internal and external such as .srt, .idx, .sub, .ssa, etc. Equipped with video cutting function in the video-editing panel. How to create my first DVD (with our all-in-one DVD Creator, create dvd in one step) ? 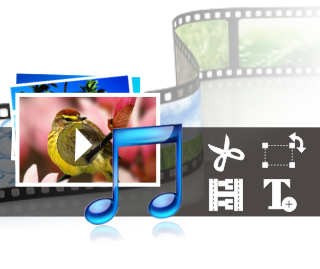 How to design your own DVD menu with Boilsoft DVD Creator? What is the quickest way to burn a DVD with Boilsoft DVD Creator? How to add subtitle .srt ? How to add subtitle .ssa? How to produce multi-audiotrack DVD? How to produce multi-subtitle DVD? How to convert iPod to DVD? How to convert PSP to DVD? How to convert MTS to DVD? How to convert AVCHD to DVD? How to convert MP4 to DVD? How to convert RM to DVD? How to convert ASF to DVD? How to convert 3GP to DVD?